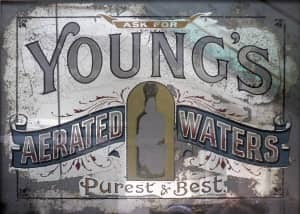 “Ask For Young’s Aerated Waters” by Flickr user ninastoessinger. CC BY-SA 2.0. 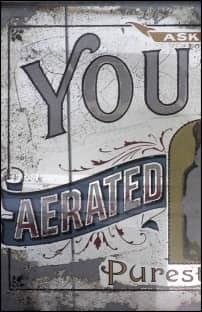 After running a (horribly unscientific) poll on my law & technology blog for several months, I discovered that less than 15% of people voting found any of the Google-served advertisements to be relevant (not unwanted… irrelevant). Google has always claimed their ads are contextual and targeted to the content of your pages. This may once have been true — and may even be true for some people’s sites — but it isn’t true for me. Ads I serve to search-engine visitors are the best targeted, while those that rely solely on page content are the worst. I suspect Google’s increased “personalization” of ads are only going to make this worse, from the perspective of relevance to my content. I’ve experimented with other services, such as Infolinks and Kontera, but the vast majority of the double-underlines show up under single words with ads that are only marginally related to my page’s content. So, for example, “offer” and “credit” will link to credit-card offers. Even if “law” is underlined, it tends to link to sites on the law of attraction. To try to address this, I focus Google ads mostly to search-engine visitors, and not others (though I’m always experimenting, of course, if only to keep up with trends). I’ve used services like Linkworth, which at least lets me approve ads manually. I could choose to sell all my own ads directly — but I’m simply too small and too uninterested in marketing — for this to be worthwhile. I’ve found AdBrite and similar services are equally irrelevant to my visitors. Pay-for-posts — even somewhat relevant posts — make no sense for a blog like mine, even if they might be fine for a commercialized blog. Has anyone else experienced the problem of irrelevance? Any potential solutions? Or are well-targeted, contextual ads simply impossible to achieve? Dear Starbucks and AT&T: fix your WiFi!